Antelope are beautiful in their own unique way. CAD ANTELOPE manikins offer updated features that will help you take your Antelope work to a higher level. Each CAD ANTELOPE manikin features WORLD-FAMOUS CAD inner nostrils, LIFE-LIKE PRE SET eyes, ACCU-SET horn bases, natural leg/brisket anatomy and perfect CAD anatomy. 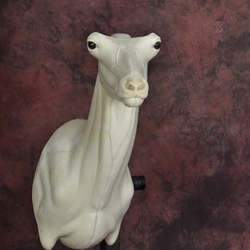 These Antelope manikins are a perfect example of how you get more with CAD manikins.